At Secrets Resorts & Spas, we pride ourselves on providing all guests with the Unlimited-Luxury® experience. But what exactly do we mean by Unlimited-Luxury? Unlimited-Luxury is a commitment to fulfilling your every wish and exceeding your expectations at every turn. It includes every amenity you’d expect from a world-class destination and so much more. Unlimited-Luxury begins upon your arrival to Secrets Resorts & Spas with a welcome cocktail and cool towel and continues with elegant accommodations and stunning views. Experience Unlimited-Luxury with gourmet dining at a variety of restaurants, where reservations are never required. Full breakfast, lunch, dinner and snacks are included each day. If you prefer more private dining, room service is available 24-hours a day. Unlimited-Luxury dining doesn’t end with the food—premium drinks are unlimited and complimentary mini bars are refreshed daily. Unlimited natural fruit juices and soft drinks are also available. Wherever you are at a Secrets Resort & Spa, you’ll encounter more of the Unlimited-Luxury experience. From beautiful swimming pools and beaches, all with wait service, to theaters with live nightly entertainment and Secrets Spas by Pevonia*, we aim to ensure you enjoy yourself in every way. So what are you waiting for? 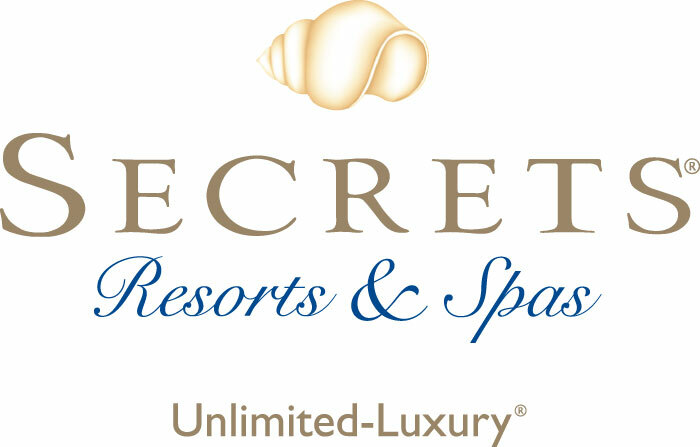 Come experience Unlimited-Luxury for yourself at Secrets Resorts & Spas! This entry was posted in Secrets Resorts & Spas and tagged all-inclusive, amenities, secrets resorts, Unlimited-Luxury. Bookmark the permalink. ← Let’s Eat at Secrets Resorts & Spas! I’m counting down my days till August 23, 2014!!! Can’t wait! May 23rd…come on and hurry it up until we are there….then….oh…….so…………….slowwwwwwwwwwwwwwwwwww. I know Christmas is right around the corner, but I wouldn’t mind a nice stay on the beach at this resort! May 3rd I’ll be there to celebrate a special birthday !!!!!!! !